This is exactly the kind of flashy, fun musical comedy at which Paper Mill Playhouse has always excelled. Thoroughly Modern Millie is set in (and all about) the Roaring Twenties, as young Millie Dillmount arrives in New York City, seeking all the excitement it can provide before she completes her mission of marrying a wealthy captain of finance. It’s a vigorous and vital show, with an energetic score by Jeanine Tesori and a patchwork of other composers from Sammy Cahn to Arthur Sullivan (a handful of songs in the musical are from the 1967 movie of the same name on which it’s based). Director Mark S. Hoebee has keyed into that energy and delivered a production that’s appropriately brisk and delightful. Laurie Valdheer plays Millie with great earnestness, an approach which gives the role an extra emotional pull. It also means that some moments that call for a twinkle in the eye don’t get that twinkle, but it’s a reasonable trade-off, and she certainly sings the hell out of her songs. Lenora Nemetz is a hoot and a half as Mrs. Meers, a classically-trained American actress pretending to be a Chinese landlady. When Meers is in her Chinese disguise, Nemetz adds misplaced r’s and l’s where they never should be to sick-and-wrong comic effect. When Meers is being her tough-as-nails self, Nemetz delivers her lines with a deliciously vaudevillian bump, grind and panache. The musical is ultimately a love letter to New York, which brings about a curiously wry tone when it’s being performed in New Jersey. 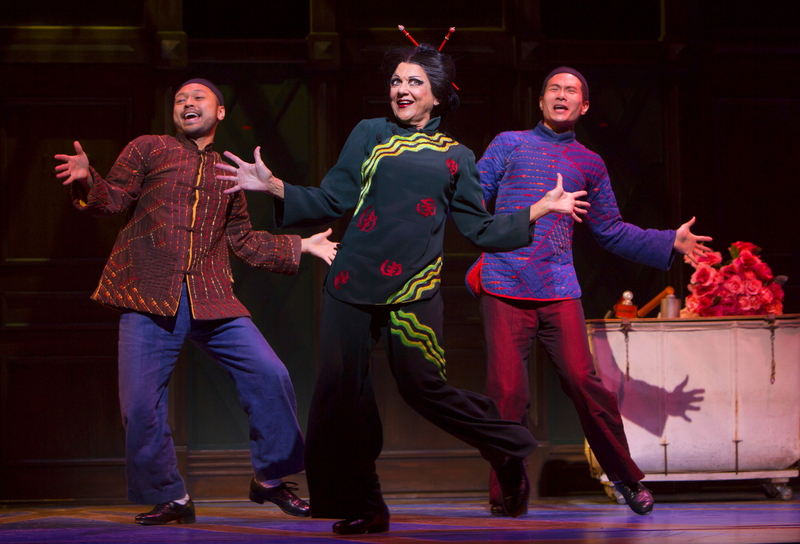 Mostly, Thoroughly Modern Millie is intended to be dizzily diverting fun, and this production is that in spades.